At Clever Tykes, we’re passionate about instilling enterprising behaviour and the associated skills in children. We know that enterprise education has a key role to play in helping children adopt a positive mindset and attitude towards work and their future. We’re going to take a closer look at what enterprise education is, why it’s important and the role it should play at a primary school level. Enterprise education or enterprise learning, is the practice of helping others to develop the skills and attitudes we most closely associate with being enterprising or entrepreneurial. This doesn’t just mean teaching children about profit and loss and how to count their pocket money; being enterprising is far broader than this. Enterprise education, as a subject, does include technical elements. However, whereas a business studies university degree would aim to provide practical and technical knowledge to students looking to enter the world of business, we are looking to develop behaviour, attitude and mindset. This, combined with a basic introduction as to what a business might look like, for inspiration. This is especially true with younger children, which means developing that enterprising mindset is much easier to do in primary school children than it is with university students. The role of primary enterprise education must be to instill as many of these character traits in children as possible. I’m sure you will agree that these traits are useful for everyone to possess, not just an aspiring entrepreneur. That’s why we believe enterprise learning is crucial for everyone, especially in primary schools. We believe that introducing children to entrepreneurial role models that display these characteristics is part of this learning process and is especially beneficial for children who don’t necessarily have positive role models in their immediate network. We’re confident that through introducing children to positive entrepreneurial role models and new skills, enterprise education has the potential to not only inspire children to be high-achieving academically but empower them in their career choices later in life. Should enterprise be on the primary curriculum? 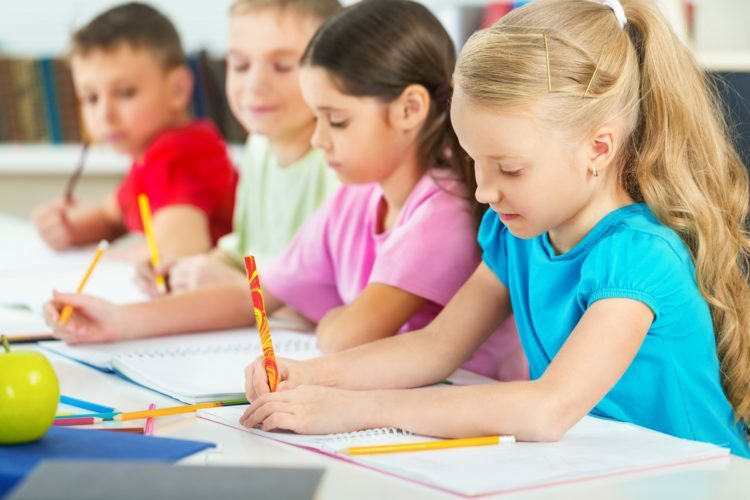 Enterprise education is still completely optional for primary schools, although many have adopted elements of it in some parts of their learning. This means there’s currently great diversity in the amount of enterprise education delivered to students in key stages 1 and 2 and the nature of this education varies wildly. In fact, Clever Tykes believes enterprise education should not be on the primary curriculum. We believe that campaigning for it to be on the curriculum is unnecessary and that our job is to simply make enterprise and enterprise resources as accessible and appealing for teachers as possible. Read Lord Young’s enterprise report “Enterprise for all”. Published in 2014, enterprise education features heavily in the overall strategy to improve enterprise in the UK. Why is enterprise learning important? Aside from the development of a wide range of important character traits, there are studies highlighting the value of enterprise education. Enterprise education increases the likelihood of someone starting their own business and the likelihood of them being successful (and we know ‘success’ is subjective and involves many factors). We also know that children who grow up with an entrepreneurial role model (even in stories) are more likely to be prosperous in their business pursuits. But why do we need more businesses? Small businesses are fundamental to virtually every developed society. Entrepreneurs start businesses to provide people with valuable products or services, solve problems, and develop new technologies. Their businesses help to create jobs and wealth in our economy, so it’s important we inspire and empower people to act on their ideas. Exactly how do you deliver enterprise education to primary school children? How do we encourage them to engage with what is, on paper, a very advanced concept and subject matter? There is an important distinction to be drawn between encouraging children to be enterprising and teaching them to set up and run their own company by the time they’re eight. Firstly, we need to ensure the idea of what a business person is and does is a positive one for children; the Clever Tykes books portray entrepreneurs in a different light to the traditional mean and greedy businessman. Next, we must find effective ways of integrating enterprise learning in the school day, whether through discreet lessons or via other areas of the curriculum. 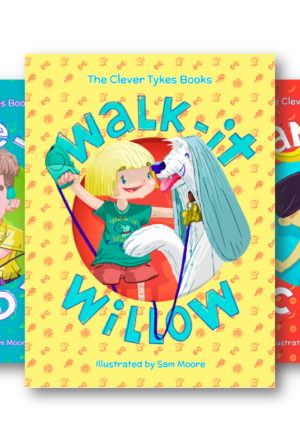 That’s why Clever Tykes developed resources accompanying the series, to ensure the effective delivery of enterprise to children through a variety of means including PSHE, guided reading and enterprise clubs. The books also give context to maths, IT and art and design projects, giving children an understanding of the practical application of these subjects. Clever Tykes believes both a holistic and practical approach must be taken to inspiring enterprise in young children. Enterprising behaviour has as much to do with a mindset and attitude as is does with knowledge and a practical skill set.